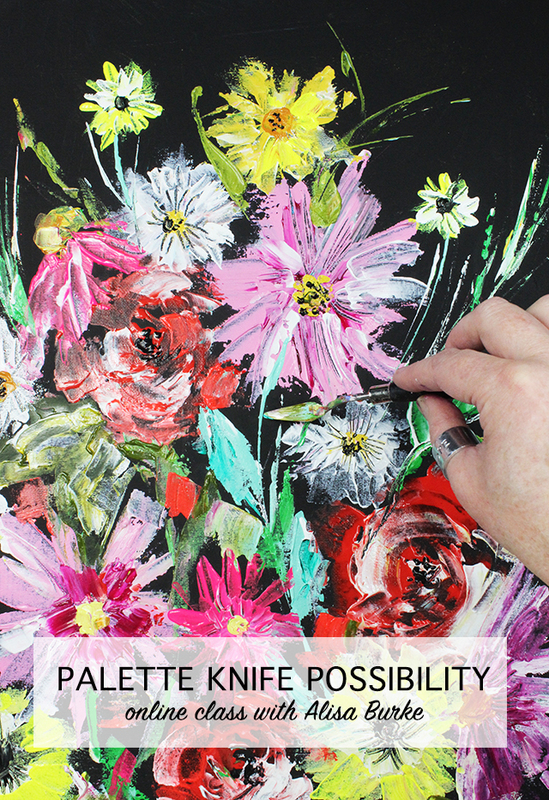 alisaburke: NEW class palette knife possibility! 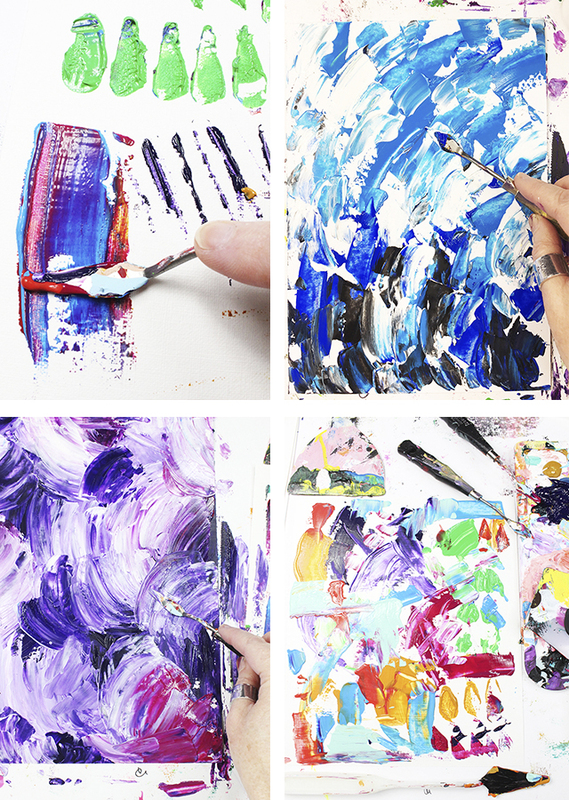 When working with paint, a palette knife can be a really fun alternative to using a paint brush! 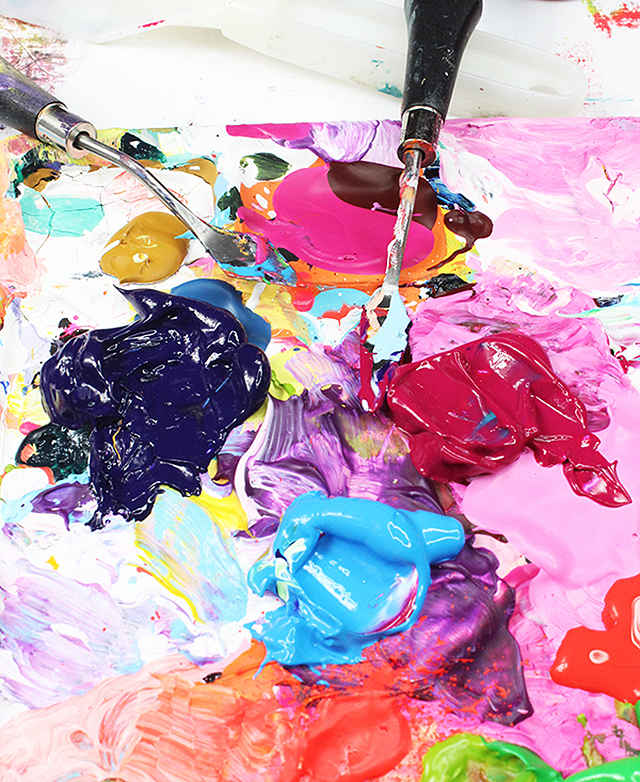 Typically a palette knife is used for mixing paint but it can also be used to apply paint. 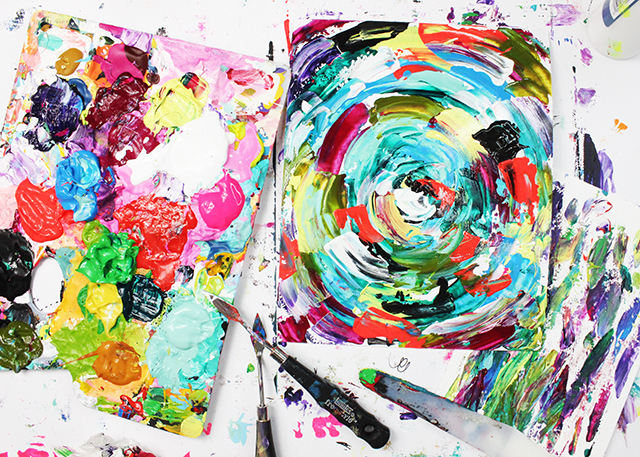 In this class we will be ditching those brushes and exploring all kinds of ways to use palette knives to swipe, scratch, drag, dot, mark, layer and spread that paint! WOW, looks so bold, love the idea!